Homeowners insurance is one of the top costs commonly forgotten about. Whether you’re house hunting, thinking of selling, or already have the moving company’s number on speed-dial, it’s easy to get caught up in the midst of packing and planning. Moving home is not small feat; it requires a lot of time dedicated to perfecting your credit score, applying for the right loan, and packing up all of your belongings! Before you ready the packing tape and bubble wrap, take a moment to ensure that you have the necessary homeowners insurance in place. It’s easy enough to forget, but you’ll be glad that you secured this coverage when you did! You won’t be able to obtain a mortgage without homeowners insurance covering both the property and its contents. However, the standard insurance may not cover natural disasters such as floods, tornadoes, and earthquakes. 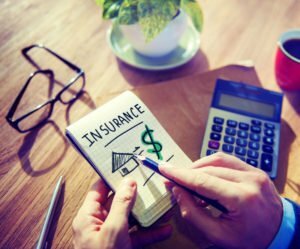 Depending on where you live, you may want to consider taking out additional insurance to cover such risks. Damage to the interior or exterior of your house. In the event of damage due to fire, hurricanes, lightning, vandalism or other covered disasters, your insurer will compensate you so that your house can be repaired or even completely rebuilt. Loss or damage to your personal belongings. Clothing, furniture, appliances and most of the other contents of your home are covered if they’re destroyed in an insured disaster! Personal liability for damage or injuries caused by you or your family. If someone sues you for a slip and fall that they suffered on your property, insurance will step in to cover the legal and lawsuit expenses. Additional living expenses while your home is being rebuilt or repaired. If your home is uninhabitable for some time while it is being repaired after a peril, insurance can cover some of the expenses associated with staying in a hotel and eating in restaurants while your home is being rebuilt. While homeowners insurance may not be on the top of your list for moving home, it’s essential in protecting your newfound property and loved possessions! Contact McCarty Insurance Agency to get started on the right policy for your new home and needs in Fresno and areas of California.